YES! We have a secure socket layer certificate that encrypts the personal information you enter on this website. When you click to check out you will notice that the address of the site changes to https:// and also that a lock symbol will appear either at the end of your address bar or at the bottom right side of your screen (depending on the version of IE that you are using on your computer). These are indications that the connection between your computer and our server is secure and the personal information you now enter is encrypted to guard against anyone else viewing your personal information as you check out. You can click on the lock to view the security certificate status. Because there are nearly 2000 designs to choose from, we do not keep a printed copy of a catalog. Designs come and go frequently and it would just be impossible to keep up with a hard copy catalog. A grain free grout with will not scratch the surface of the tile. Mapei Keracolour FF is one choose. Where can you find matching tiles the same sizes. You can try the http://www.ceramictile.co.uk/index2.htm best to ring them. http://www.buildersuperstore.co.uk/ search for the V&A range. What is a digital art tile mural? 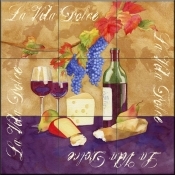 The digital art tile murals and accents are produced from original artworks painted by well known and inspiring artists. 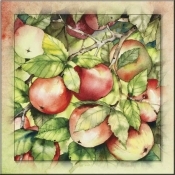 Since the artwork has been digitally scanned, usually images can be resized to fit the area you intend to tile. The image is printed with sublimation dye onto sublimation paper using one of the best Epson 8 colour photo printers available. The printed image and the tiles are then put into a heat press and we apply heat and pressure to the tile and printed image to transfer these images to the tile. The dye of the printed image flashes from solid form to gas form (much like dry ice) under the intense heat and pressure of the heat press machine. The gas formed dye permeates the tile surface and becomes permanent to the tile. You cannot wash the image off. You can clean them daily with a sponge or soft cloth and any normal household cleaner such as glass cleaner, multi-purpose cleaner or soft scrub. The method of transferring the images to the tiles are permanent and are safe to use as a kitchen splashback (behind a stove or sink or anywhere on the wall) or on the wall of your shower or tub surround. Where can I use my tile mural and accent tiles? You can install your Digital Art tile murals and accent tiles permanently to any interior wall such as a kitchen splashback, tub and shower surround or as a fireplace surround or mantle (temperature not to exceed 350 degrees). 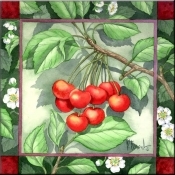 What tile types and colour choices do I have for the digital artwork tile murals? You have several options for these tiles as well. Since the digital artwork reproduction covers the entire blank tile surface there is no need to choose a tile colour. You only need to select the type of tile you want us to use. Since the tiles that we use for the digital artwork reproductions are sublimated, the tiles need to have a special polymer coating on them. The coating is applied to the tiles by companies who specialize in coating tiles for the industry. The coating is applied to the tiles and then the tiles are heated in large ovens to permanently adhere the coating to the tiles. We cannot coat regular tiles therefore the customer supplied option is not available for the digital artwork reproduction tiles. The ceramic tiles have a smooth surface. You will also need to choose the finish for the ceramic tiles - glossy or matte. Are the overall dimensions you give on the product pages EXACTLY the dimensions that my tiles will be? Please use our overall dimensions as guidelines only. Our overall dimensions do not include space for grout lines. Depending on the size of your mural there could be a difference in the overall dimensions from less than an millimetre to several millimetres for the larger murals. You should choose a design size that is smaller than the space you are tiling to allow for any overall dimension size difference. I'd like to see pictures of completed tile projects. Do you have pictures? Yes, please visit our Gallery. There you can view pictures of how others have used their tiles. You'll be inspired! How long will it take to receive my tile murals (or accents)? This is our normal working week & when you can expect delivery. we will email you if your order will be later than expected. UK deliver only. Email us for EU dispatch. 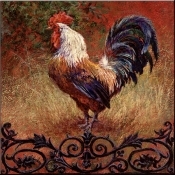 Our digital art tile murals and digital accent tiles are usually shipped within 10-15 days. We do not keep a stock of finished tiles and each order is custom made as it is ordered. There may be some items on the Specials page that are pre-made and can be shipped right away. If you need your custom made tiles in a hurry, just let us know. We can work with you to get your tiles completed quickly. I am trying to match a particular shade of a colour in my home. How can I be sure that the colour in the design will match? The shade or hue of an exact colour is impossible to match and determine for a number of reasons. The most important factor that determines the colour we see on the website or when a design is printed is the settings of your particular monitor and printer. Colour is interpreted by each brand of monitor and printer differently. For instance, what looks or prints as a light pink colour on your monitor and printer may be a shade or two darker on mine. It will still be pink - but the shades will be different. That is because the settings of our equipment are different from yours. Also, keep in mind that the way humans interpret colour is determined by the number of colour "cones" in our eyes. Even people perceive colour differently. You may see a particular colour lighter or darker than the way I see it. As an example, the colour we both perceive may be purple, but the shade won't be the same for each of us. When you look at a design on the website and you see, for instance, the colour purple. The finished tiles will have purple in them but the shade could be lighter or darker than what you see on your monitor or print from your printer. Trying to match an EXACT shade of a colour is just not possible. When trying to match colours it is best to receive your tiles first and then match your paint or drapery colours with the tiles rather than the other way around. I've placed an order and now I need to cancel it. What do I do and will I be charged? Although completing and submitted the order form is an authorisation for us to charge your credit card for your order, if we have not started making your tiles for you than your order may be cancelled without charge or penalty. Once we have started to make your tiles for you than a 25% restocking fee will be imposed. This charge is necessary to partially off-set our time and costs of the materials used in creating your tiles. Since every order is custom made to your specification it is rare that we receive a request for the same exact order as anyone else. If an order is cancelled after we have begun making the tile, there is little chance anyone else would place an order for the exact same design on the exact same tile color and finish and so there is little chance that we could re-sell the cancelled order. If you need to cancel an order, just let us know ASAP and if we have not started to make your tile, you will not be charged anything. If you are not happy with your tiles, they may be returned but there are some restrictions. Returns will not be accepted without our prior approval. If you want to return an order you must contact us prior to shipping it back to get a refund. Because your order is custom designed just for you we must charge a 25% restocking fee on all returned orders. Refunds are given only if the tiles are returned in their original and new condition. Tiles that are damaged or in any way altered from the way they were shipped may not be returned. All returned orders must be shipped back to us, insured to their retail value, and within 10 days from the date you received them. What happens if my tile is damaged during shipping? If your tiles arrive damaged, you must notify us within 24 hours of receiving your tiles. We will re-make your tiles and ship them to you at our expense. You must keep the damaged items and all packaging material for shipper's inspection and pick up as we will make a claim with the shipper. All orders that are shipped fully insured. My tiles arrived fine but then I broke a tile that was part of a mural. Can you replace the tile I broke? Tiles that are broken or damaged by you can be replaced. You would need to pay the shipping costs for the replacement tiles. All mural tiles have a number on the back of the tile. Please provide to us the number on the back of the tile that needs to be replaced. I have some questions and I'd rather speak to someone. How do I speak with someone? If you have questions we would love to hear from you. You can give us a call at 01502 514196. If you prefer that we call you just send us an e-mail with your name, phone number and a good time range to call you and we will call you. It would be our pleasure to speak to you and assist you in finding the perfect design for your home.